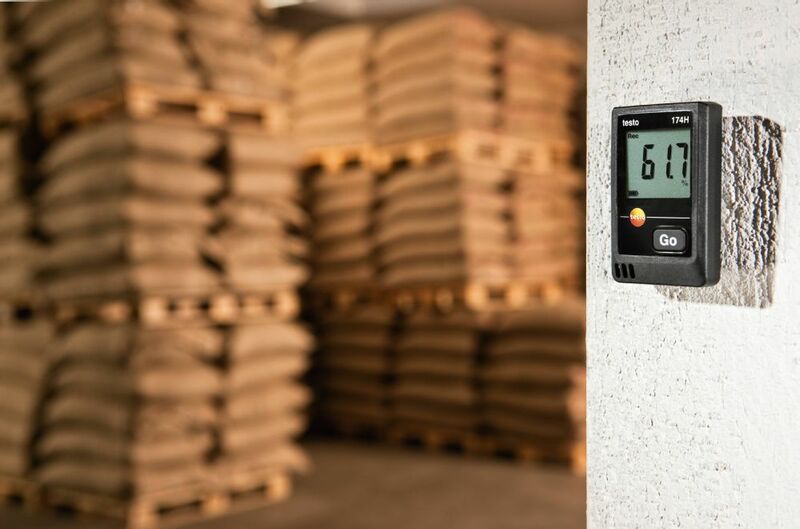 The testo 174 H allows you to monitor temperature and humidity sensitive goods – including foods, archives or metal parts that are susceptible to surface rust – or carry out discreet humidity checks in buildings to ensure that the property is being properly looked after by the tenants. The testo 174 H mini data logger has built-in longlife sensors that can measure the temperature and humidity of the surrounding environment, a memory for up to 16 000 measurements and an easy-to-read display that shows the current reading as well as any breached thresholds. Practical: The standard batteries (2x CR 2032) included in the scope of supply can be easily replaced by the user. You will need a USB interface to program and read out your mini data logger. testo 174H temperature and humidity mini data logger, wall bracket, 2 x CR 2032 lithium batteries, calibration protocol. Temperature and relative humidity are crucial factors when it comes to assessing air quality and comfort levels in indoor areas, e.g. in workplaces. Both values can be monitored and documented over the long term using data loggers. They are also very well suited for checking ventilation systems or for assessing any building moisture which occurs. The use of special software means measurement configurations can be carried out individually and recorded measurement data can be both analysed and archived. Correct compliance with storage temperature and humidity is an important prerequisite for the quality assurance of many products, e.g. in the area of food and pharmaceutical products. As a general rule, data loggers are used to do this. They automatically check and document the profile of the ambient conditions and thus make a crucial contribution to verifiable preservation of product quality. 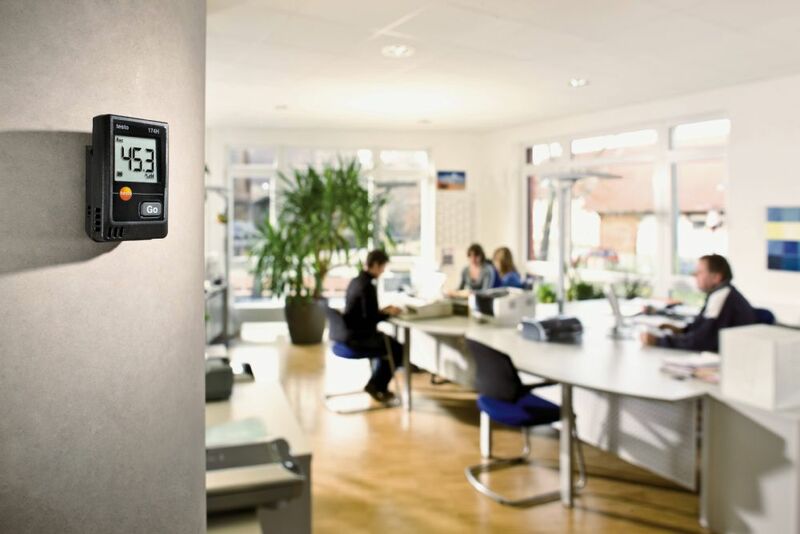 Viewing breaches of limit values directly on the display means you can respond quickly to temperature and humidity deviations. In addition, with the help of the configuration and read-out software, customer-specific measurement configurations can be carried out and recorded measurement data can be both analysed and archived. 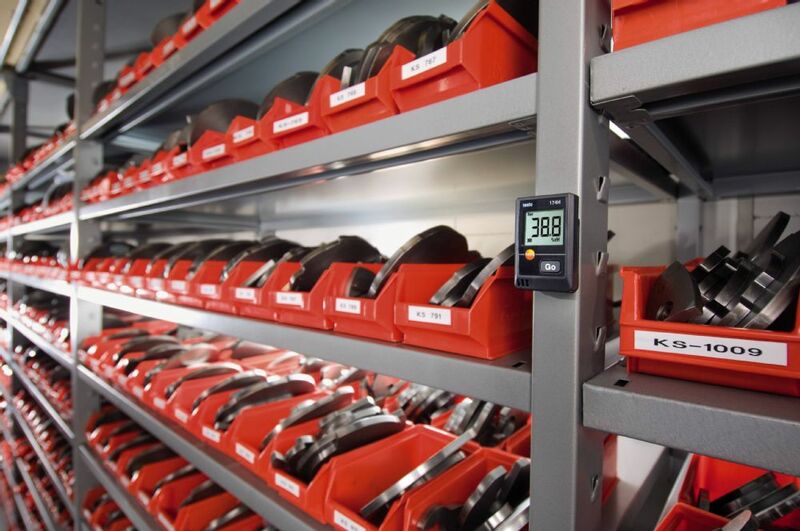 For all goods which react sensitively to temperature and humidity fluctuations or have to be stored within a predefined range, uninterrupted measurement data recording and documentation play a major role. Incorrect conditions during transport can lead to major losses of quality, including the total loss of value of the products that require monitoring. Using a data logger, shipments can be checked for compliance with the specified temperature and humidity ranges and the data can then be read, analysed and archived by means of special software.